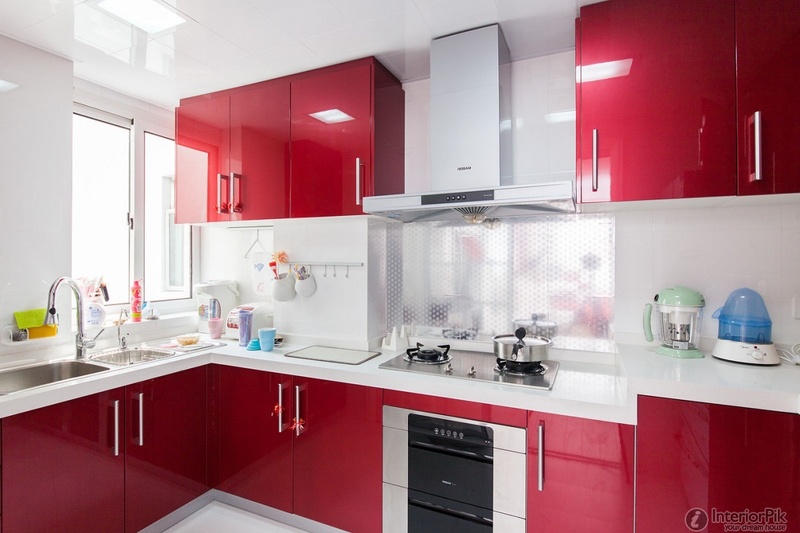 Redecorating your kitchen may require kitchen cabinet repainting. You may have to choose a color or two. The colors you pick should work with the colors of the rest of the kitchen. The main goal here is to pick the colors that you really love, because you are going to live with it for a long time. List all the major colors you will find in your kitchen. These include the shades of your kitchen walls, window drapes or blinds, trims, chair rails, floor, artwork and other stuff that complete your kitchen. Pick out sample colors and paint swatches from your favorite home improvement shop. Focus on the colors that go well with the colors in your kitchen. Select two or more colors and pick out a couple of shades lighter and darker than your color choices. For the base coat, it is ideal to use bright colors like red, orange, and turquoise, or whatever bright color that accents your kitchen. Don’t worry if the color is too bright for your taste. It will only show through the distressed areas so there is no risk of an overly bright space. For your cabinets’ top coat, choose a neutral shade that’s included in your list. Cream, olive green, and black will work great as top coats. Using the sample colors, dab a bit of the paint to determine which shade is the best. Using two shades of similar color for the stain will give your kitchen cabinets the neutral look that will give the impression of naturally-aged wood. Your kitchen will definitely get its much-needed lift when you add the elegance and beauty of kitchen cabinets. It does not matter if you use cheap kitchen cabinets from Ikea or distress the existing cabinets in your kitchen, the olden look will surely add class to your otherwise shabby kitchen and may even increase the market value of your home. The most boring kitchens can probably be found in apartments. They usually have plain, white kitchens with dull wall-mounted cabinets. However, if you are allowed to do a little home improvement, then you might add a little apartment kitchen decorating to your list of what-to-dos. Did you know that making your kitchen feel a little warm and cozy can be achieved by using distressed kitchen cabinets? Giving your cabinets an antique look will definitely add elegance and style to your whole kitchen. Distressing your kitchen cabinets is a simple task. If you know how to sand and paint, then you have the basic knowledge necessary in achieving this timeless look. Distressing your kitchen cabinets is one of the great ways to upgrade the look of your kitchen. The look is rather easy to get. 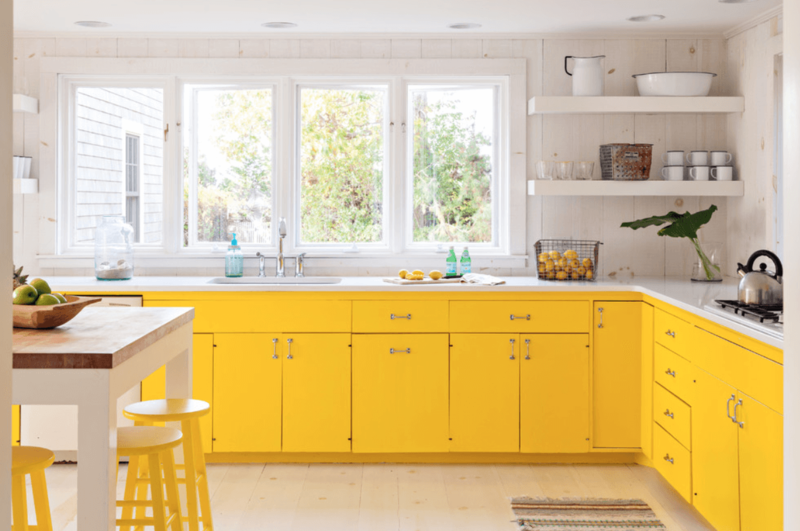 However, the steps you need to do might vary and it all depends whether the cabinet is already painted or not; or if there’s any cabinetry at all. First, if your apartment do not have built-in kitchen cabinets, the best thing to do is to look for reclaimed kitchen cabinets. Reclaimed cabinets are usually sold at flea markets or second hand shops. Pick the ones that still have their doors intact, and do not have major problems with regards to construction. Don’t worry if the paint is already worn out; remember, your goal is getting that lovely, distressed look. If you are lucky, you won’t even need to progress to the successive steps. If your apartment kitchen already has installed cabinetry, make sure that you are allowed to update its look, especially if you are just renting. Otherwise, you are free to do whatever you like. If that is the case, why not make your kitchen more interesting by doing what you want and feel. Surely, you will enjoy cooking and preparing food in a trendy kitchen. 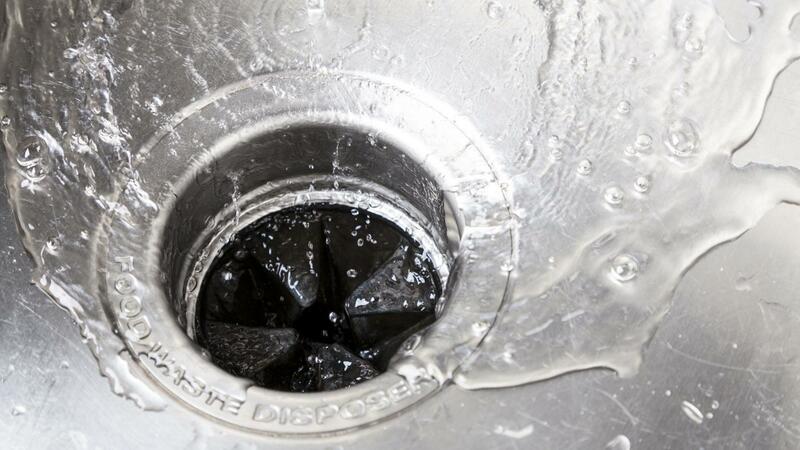 If you have a garbage disposal that is jammed, clogged up, or leaking, these steps will guide you on how you can be able to repair it without hiring a plumber. To remove a jammed disposal the first thing that you need to do is turn off garbage disposal or unplug the unit that serves it. Secondly find the hex-shaped hole which is located under the sink on the bottom of the disposal. If there is one find a hex-head Allen wrench to fit in the hole and force it forth and back directions a couple of times to destitute the vanes. If you don’t have a hex wrench use short brooms stick to rotate the impeller in all directions. Rotate it until the jaw locks itself inside the disposer. Plug in the disposer after removing the wrench and check how it will perform. Remove any unnecessary materials that may have stuck there like glass, fibrous food, rubber, and metals. If your disposal is not making any humming sounds when turned on then definitely that’s an electrical issue. After confirming that it is plugged in you can go ahead and switch on the unit reset button. You can also try to check if the circuit breaker is turned off or stumbled in the electrical service control board. You should consider replacing a new garbage disposal only if your current disposal doesn’t make any noise or turn on after trying to repair it. Make sure you're running enough water when your disposal grinds poorly while working on the unit to make sure you are not scrunching unwanted materials. If the blade is running but not grinding then you should know it’s broken and you should replace it which is easier than replacing the whole unit. If there is standing water in the sink that means the disposal drainage is clogged. When this occurs normally it’s the plumbing problem and not the garbage disposal. Disassemble the drainage pipe and clear the clog under the sink. If by any chance you notice some leaks below the garbage disposal find the source of the leak and tighten the loosened connections. You can either replace the unit’s mounting screws or the drain gasket if it’s really necessary. When grinding food always use cold water, do not overfill the disposal, run water before and after before you grind anything, do not pour drain cleaners or bleach. Never place your hand in the funnel-shaped part at your disposal while working on it. Making your own kitchen curtains is a great hoem DIY project to take on. It's cheap, and allows you to get the exact look you want from your curtains. It's also pretty easy, as most of the sewing is straight. The windows are often smaller then the rest of the house so the job is quicker and you also don't need to over extend your budget on too much fabric. I'd aim for a nice light cotton, easy to work with and even easier to wash.
1. 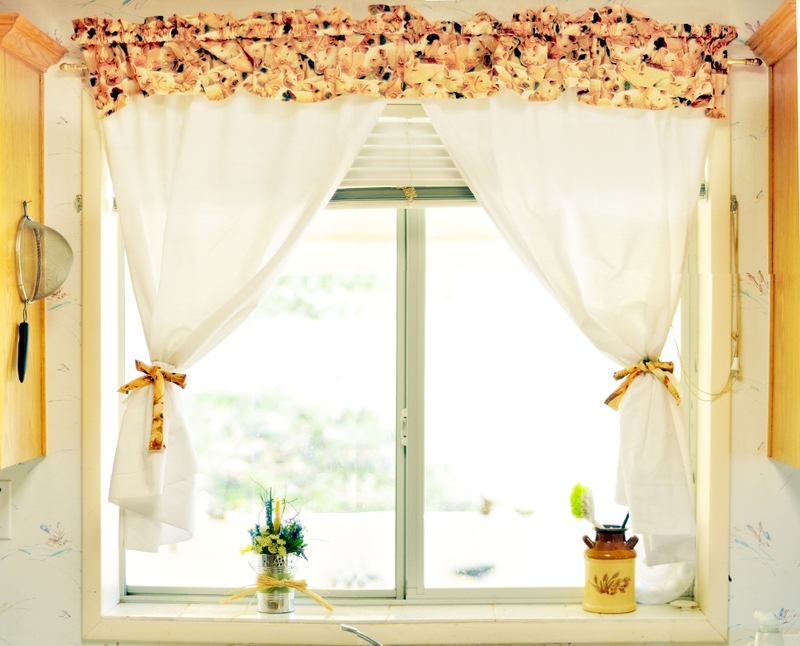 Measure the height and width of your current curtains. 5. Hang them up, alter if necessary and enjoy the new look!